To achieve this goal, the team at the request of teachers, accompanies the educational devices from the scripting to the realization D-day, through the deployment of tools or methods throughout the device. Specifically K2, our Learning Management System that was launched in June 2017 and implemented in September 2017, allows teachers to have real personalized courses and the team assists you in the creation. applied to "social learning", "mobile learning ", learning by doing. 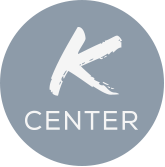 The KCenter has also developed 3 areas in which we experience courses or other learning formats based on participation. In Lille, La Fusée was launched in 2009, the venue in Paris was opened in October 2015 and in Sophia in 2017.